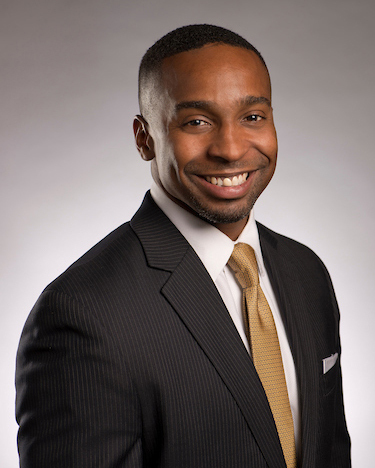 Waymond Jackson is the Vice President of Workforce Development for the Birmingham Business Alliance (BBA) – the lead economic development organization for the seven-county Birmingham Metropolitan Area. Jackson leads the BBA’s workforce development division and is a member of the BBA’s senior staff. As the lead economic development organization for the region, the BBA is focused on increasing the economic prosperity of the region and improving the quality, size and participation of Birmingham’s workforce. Through industry-led workforce training programs, a focus on post-secondary attainment and sector focused talent recruitment events; the BBA is helping create a dynamic 21st century workforce in Birmingham. Since joining the BBA in 2012, Jackson has led the creation and implementation of several notable workforce initiatives including the BBA’s Talent Recruitment Project – an effort to attract millennial talent to Birmingham for career opportunities; OnBoard Birmingham – a retention initiative designed to introduce early-career talent to the Birmingham community; and the establishment of the Alabama Workforce Training Center in Birmingham– a construction and manufacturing training center for incumbent workers, high school students and the community at large. The significance of this work has not gone unnoticed and has been highlighted through participation in various workforce leadership programs including the Association of Chamber of Commerce Executives Fellowship for Education Attainment – a peer-to-peer network of workforce professionals who develop action plans to improve the birth-to-career education pipeline in their communities; the U. S. Chamber’s Talent Pipeline Management Academy – an initiative designed to develop and certify talent supply chain skills and practices in communities ready to close the skills gap; and, the Community Leaders Forum of the Federal Reserve Board of Governors – an initiative that brought together 12 leading community development practioners to improve the Federal Reserve’s understanding of and response to emerging trends and their impact on consumers and communities, particularly those that are traditionally underserved. Jackson continues to expand the BBA’s role in workforce development, he spearheaded the City of Birmingham’s successful application to be designated a TechHire community through President Barack Obama’s signature TechHire initiative – a program designed to expand local tech sectors by building a pipeline of diverse, non-traditional talent to meet employers rapidly growing IT demands and he lead the BBA’s successful efforts to secure a $40,000 grant from Lumina Foundation to increase post-secondary attainment in the Birmingham region. Jackson is a graduate of the University of Alabama at Birmingham and serves on several community affiliated boards including the Birmingham Education Foundation (Secretary); Junior Achievement of Alabama; the UAB School of Education Advisory Board; Central Six Development Council (board chair); Tech Birmingham; Growing Kings; Better Basics; Railroad Park Foundation; the Downtown Redevelopment Authority and the Association of Chamber of Commerce Executives. He completed the Auburn University Intensive Economic Development Training program, was a 2014 Birmingham Business Journal Top 40 Under 40 honoree and is married to Kimberly Jackson; they have one son, Leo Waymond Jackson.